Hot off the press: Today: 9/11/13. These are my views as a Botox injector in Modesto, CA. Botox for Crows Feet? No, crows do not stop walking after treatment, and No, it’s not something that veterinarians can do for your pet bird. Crows feet are those wrinkles around the corners of the eyes. Sometimes these are even called “fish tail”. Medical folks are somewhat inclined to call this area lateral canthal lines. The original cosmetic approval of Botox was in 2002 for the treatment of glabellar lines which are cause by a complex of muscles involved in frowning between the eyebrow area. Botox now has FDA approval for effectiveness and safety in the crows feet area after studying over 800 patients. But haven’t doctors been treating crows feet for awhile? Yes, doctors have been using Botox to treat crows feet wrinkles for many years. This is called using it off-label FDA usage of Botox – and based on a doctor’s professional discretion. FDA website. How Long does Botox last in the Crows Feet? 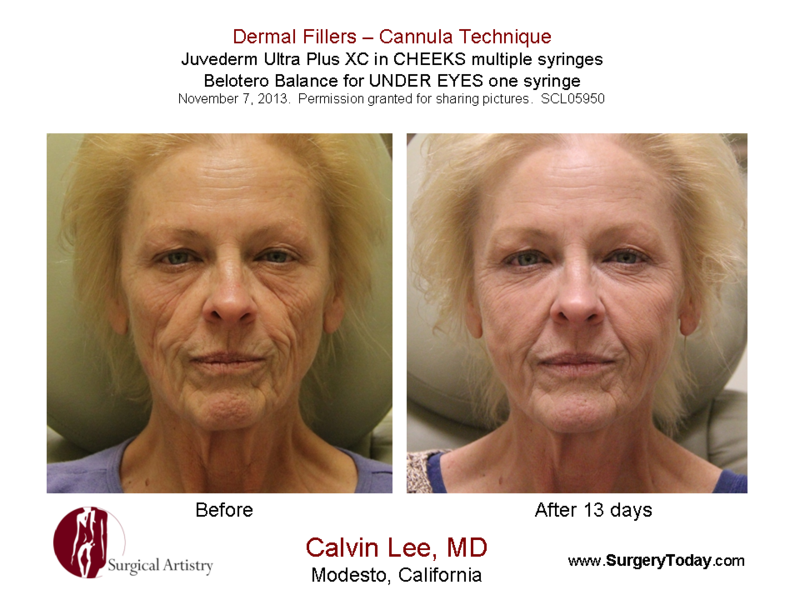 Botox typically has an effect in my experience and Modesto based practice from 1 to 6 months. But the results are usually dose dependent. Meaning that the higher the dose, the longer it lasts. But there are some minor factors which depend on Botox injection technique and patient factors – but for the most part it is dependent on the amount of Botox injected. What’s all this about eyelid swelling after Botox? There’s the risk of eyelid droop. Then there’s the well known risk of eyebrow droop. And there’s another complication of eyelid swelling. The periorbital muscle is the muscle which causes most of the crows feet. It has the function of closing the eye shut which also serves to squeeze fluid and edema out of the area. Theoretically if too much Botox was injected into the periorbital muscle – obicularis oculi, it can hamper this mechanical function of squeezing out excess fluid and thus swelling can dwell in the eye area. However, this is not to be confused with a temporary (few minutes) swelling that appears with the injection site of Botox. These are small temporary blebs/bulges in the skin which appears as the Botox is injected in a liquid under the skin. Confusing? Yes, but these risks are unusual and injectors worry about them so the patients don’t have to worry about them as much. How about competitors to Botox? Do they have Crows Feet Approval? Not yet, the other neuromodulators, which are Xeomin and Dysport do not yet have approval for crows feet. It is up to the manufacturers whether they want to obtain this type of approval from the FDA. How will this new FDA approval change my Botox practice? I think it gives the patients a greater feeling of safety for this product. Thus I think it is useful. It becomes easier to pick a product which is FDA approved for the desired effect. ie. When deciding between the different neuromodulators available to the Modesto, CA, USA market: Dysport, Xeomin and Dysport. I think we would see more advertisements coming from the Allergan company regarding crows feet Botox. Allergan has historically been very good at advertising directly to the public. How much does Botox cost? – these are my prices in Modesto, CA – subject to change. Top 6 non-surgical cosmetic procedures in my Modesto, CA practice. 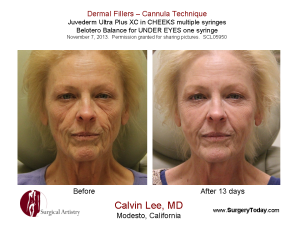 Anatomy for Botox injectors – written by Calvin Lee, MD (me).